As you know, OS X Lion ships without Flash Player to the delight of fans in support of Apple’s ongoing argument against Adobe’s resource-hungry technology. This leaves us with three choices: Avoid Flash content altogether (possible, but hardly an option for mainstream folks), switch to Google’s Chrome browser that comes with the latest version of Flash Player built-in (a forced option for Safari fans) or just install the darn thing and deal with consequences later. 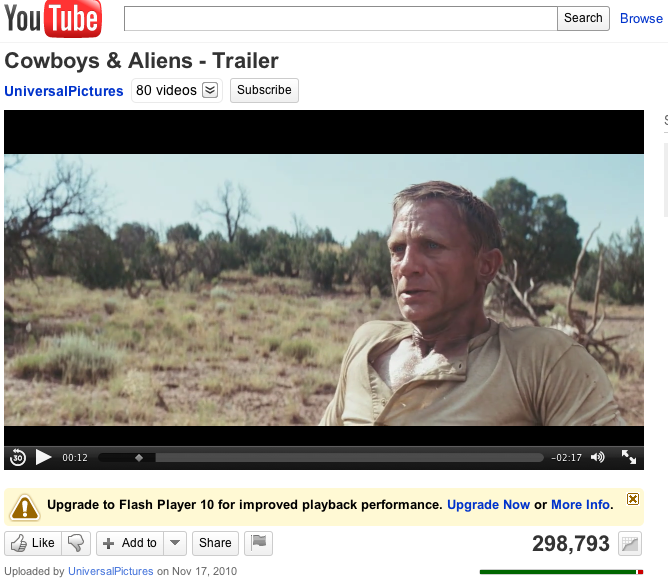 Of course, YouTube has had an experimental HTML5 video player available for some time now, but Vervuurt’s dedicated extension beats YouTube’s solution on ease of use and the ability to choose maximum video resolution (360p, 720p, 1080p and 4K), plus it works with Flash videos embedded on other sites. One caveat: The extension depends upon whether or not YouTube has HTML5-friendly counterparts of Flash videos available on its servers. The FlashtoHTML5 extension is available here. The 9KB download requires Safari 5 and works like a charm under OS X Lion, especially used with Click2Flash, a Flash-blocking plug-in for Safari. 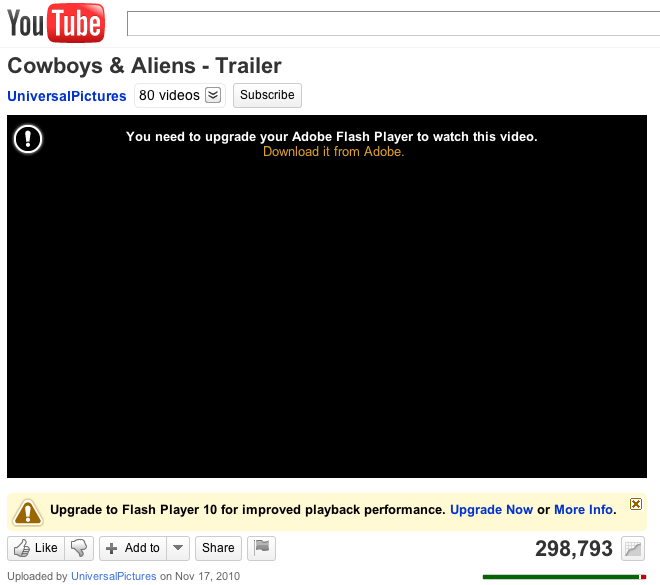 This is what you get when attempting to watch YouTube videos in OS X Lion Safari.